Use with a pressurized water supply or suction lift installation for municipal and well supply sources. 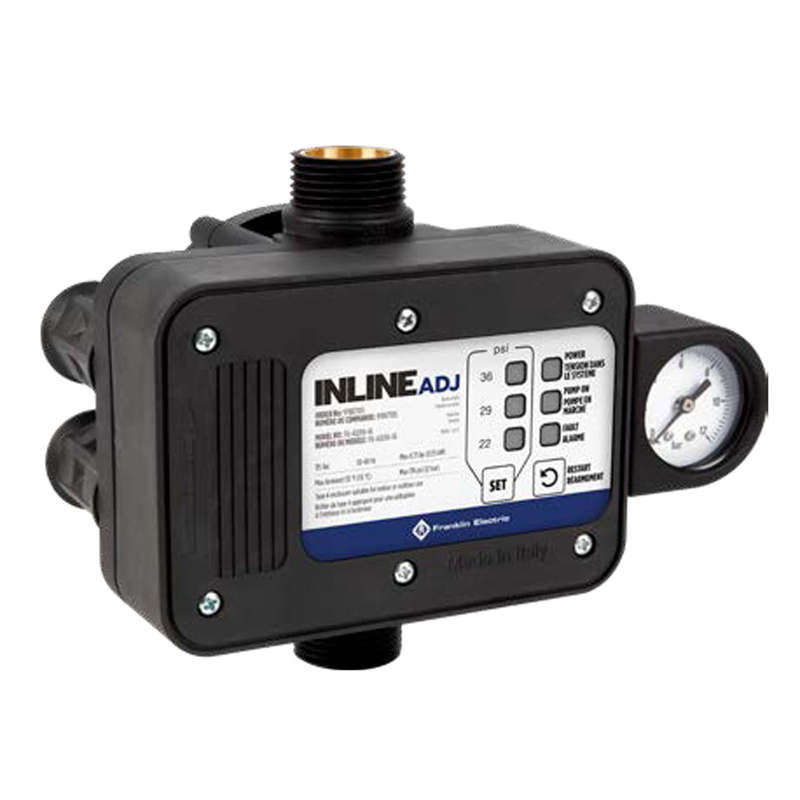 The Inline Control ADJ is a smart flow activated pump start control, designed for use in conjunction with a pump where starting and stopping the system based on water usage is desired. With water flow being the primary system start command, the unit provides a backup low pressure cut-in point where the pump will start to repressurize the system. The InlineADJ allows this low pressure cut to be adjusted to 22, 29, or 36 PSI to ensure the system will still reach the desired shut-off pressure. 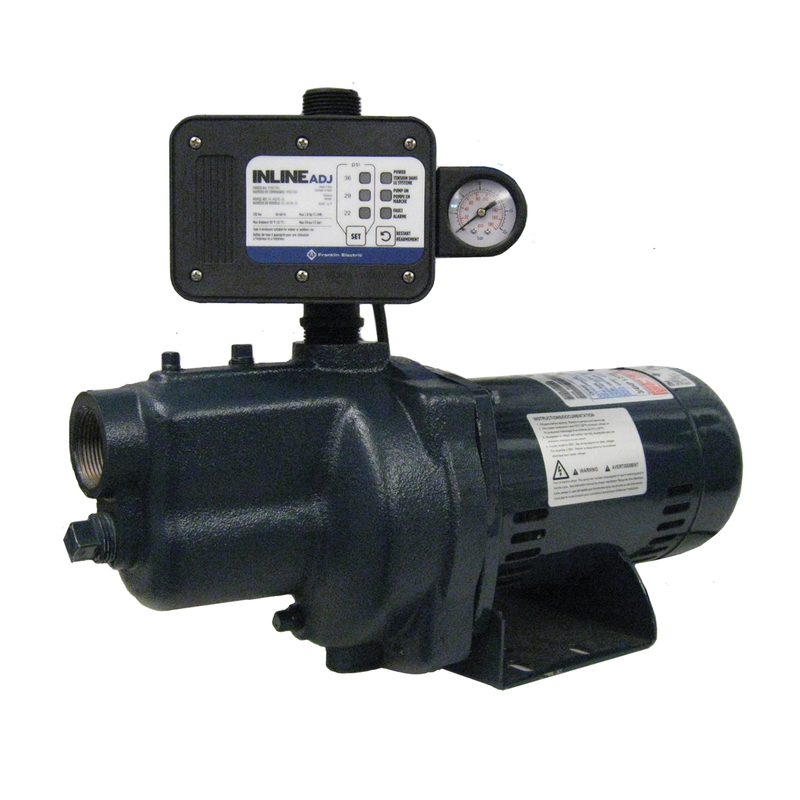 With flow of 0.25 gpm or greater the pump is activated to ensure continuous operation during water demand cycles. When flow is less than 025 gpm, the user may select between three adjustable cut-in points for a minimum system pressure of 22, 29, or 36 psi. If the pump starts due to low system pressure, with no additional demand, the Inline ADJ will only run the system to rebuild pressure. 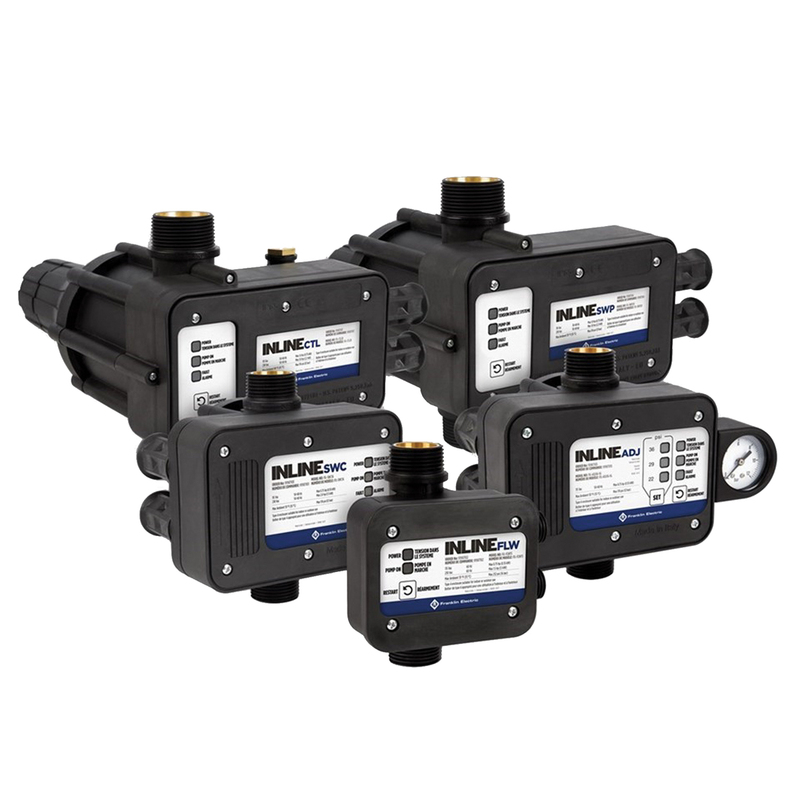 Separate models for 115V or 230V with no internal settings or wiring changes required Includes a convenient built-in check valve. Protects pump from conditions of dry run, overcurrent, and pumping against a closed discharge (dead-head) by powering off the system when water flow stops. If the pump remains idle for 24 consecutive hours, the device will carry out an autorun feature to keep the system free of debris and clogs. The system will auto-rest up to 10 times in a 24 hour period if no water is detected, to protect the pump. Replaces the need for an external pressure tank and differential pressure switch.